AEG is a long standing company with quite an interesting background. 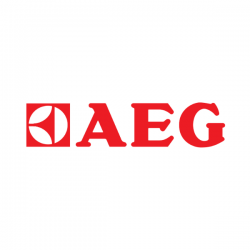 AEG was founded in 1883 by Emil Rathenau. In the beginning, they produced electrical equipment like motors, light bulbs, generators etc. However, the company eventually became interested in AC electrical transmission systems. Then, in 1950, AEG jumped ahead of the pack by creating the world’s first automatic washing machine. They also designed the world’s first ‘green’ range and envisioned the use of heat pump technology in tumble dryers. On top of all that, AEG made the first generation of induction hobs a reality. In 1907, the genius Peter Behrens was appointed as artistic consultant to AEG. With his genius and a commitment to creating only the best, they quickly soared past the competition. Every day they striving to create the ultimate appliances for your home, and here are just a few of the amazing products that they offer. First, AEG has a fantastic line of cookware for even the pickiest chef. They sell Appliance Towers, Coffee Machines, Cooking Accessories, Cook-tops, Microwaves & Trim Kits, Ovens, Ranges, Warming Drawers. Everything you need to make the most of your kitchen. On top of that great variety, every piece of ARG cook-wear reaches a level of quality akin to perfection. Along with their great cookware, AEG sells a variety of terrific home appliances. They have dishwashers, cooker hoods, washing machines, and dryers, all available to meet your needs; just like the cookware, every appliance is high in design, quality, and value. AEG is more than just the products it sells, however. It’s also a name you can trust. Though they expect your products to last you many, many years without fail, each appliance is covered by a 2 year warranty from the date of purchase. In the unlikely event that you have a problem with one of your AEG purchases, their brilliant team of customer service professionals will be there to make things right. They aren’t happy until you’re happy. In the end, it comes down to this: this is an amazing company with a great reputation for crafting high quality, Eco-friendly appliances as well as taking good care of its customers. They really are the best in the business. So next time you’re shopping for a new appliance, whether you need a new range or your updating the whole kitchen, AEG are a fine choice.